Do you recognize this? You are inspired, make one thing after another, but everything you make doesn’t turn out as you hoped it would turn out? 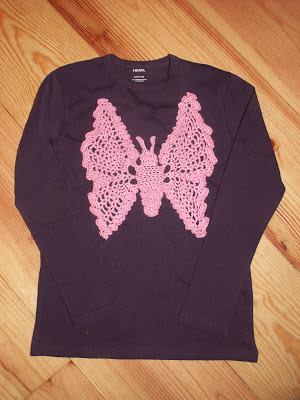 I made three things this week, but only one looks like I wanted it to look: I crocheted a butterfly to use as an application on a long sleeve for my daughter. I found this pattern at Le Blog de Anna, a blog I found recently, and which is full of the most beautiful (FREE!) crochet patterns. This is just one of many butterfly patterns. WANTED Love the green jacket! The Sugar Skull is Finished! A couple of weeks ago I showed you a half finished Sugar Skull that I embroidered. After some weeks of stitching, stitching and stitching again it’s now finally finished! Here’s the result. 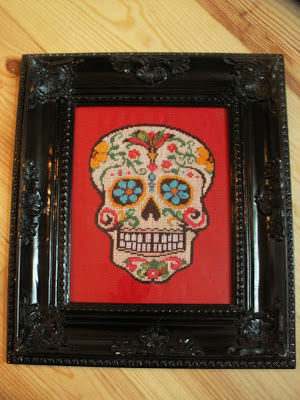 I found this great black frame to go with the skull. It matches perfectly! I know, pride is one of the seven sins, but secretly I’m a little proud of my Sugar Skull. 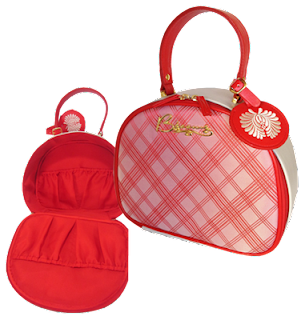 WANTED Very cute Travel Bag! 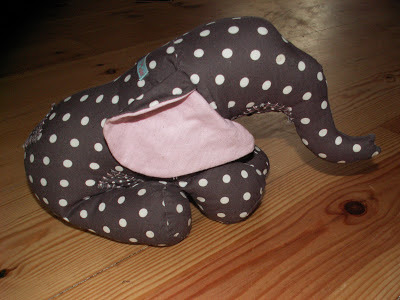 Again I had a baby shower last week and since I’m still bored by making play mats, I made a cute, little grey and pink elephant this time. I’m sorry for the lack of craft post last two weeks, but we are busy making our house over, so I had to do other things. With two kids, a husband, two cats, a job and a blog a girl has to divide her time and attention properly after all. 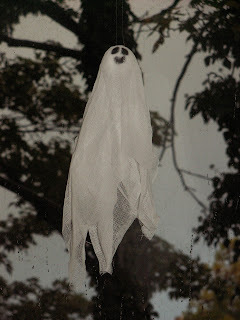 The last month I saw little ghosts for Halloween everywhere on the internet, and they’re so cute, I had to make them myself! I used Styrofoam balls and little compresses. Nothing difficult and finished in less than five minutes! I LOVE this Gingham Dress! Last year I made this shirt for my oldest daughter (then 4), who was fascinated by skeletons and monsters at the time, and wanted a shirt with a skull on it. Now that it is almost Halloween and Dia de los Muertos it's a good time to show it to you. I didn’t want to make something that would scare off her friends, so I made this for her. 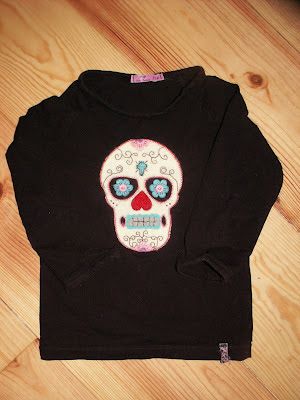 The skull is made of felt and is embroidered on the shirt. I bought some ready to use felt flowers and iron on rhinestones to decorate the skull and used lots of pink and lila to give it a (somewhat) more friendly face. Not entirely succeeded (it's still a skull after all), but I did the best I could and my daughter loved it. Back then at least, because now she thinks skulls are disgusting, haha!